The mission of Hiawatha Middle School is to provide all students with life-long learning skills and opportunities for academic, personal, and social growth in a safe and orderly environment. The educational program is designed to enable students to become productive citizens in an ever-changing society. Warmer weather is sure to be around the corner and with that brings about our HMS track season, which officially begins on March 18th. Third quarter proved to be very successful for our Red Hawks. Our Science Olympiad team was recently notified that they have qualified for state competition in April, while Scholar’s Bowl topped off their season, earning 3rd place in the 8th grade division and 4th place in the 7th grade division. Way to go Red Hawks! Despite an unexpected number of snow days, teachers have effectively rearranged and planned accordingly, challenging students each day to give their very best. As we head into Spring assessments, please review the testing schedule and ensure that your child receives proper nutrition and adequate sleep. Continue to reach out to your student’s teacher(s) to determine how you can better help support your student’s learning experiences at home. Direct and active parent involvement is essential to student success. Never forget how important you are in the equation of student development, success and happiness. *March 22nd: 7th/8th Gr. Dance @ HMS, 7:00-8:30 p.m.
*March 25th: HMS Site Council @ 5:15 p.m.
*March 28th: 8th Gr. Ag Day @ Fisher Center, 9:00-1:30 p.m.
*March 29th: 5th/6th Gr. 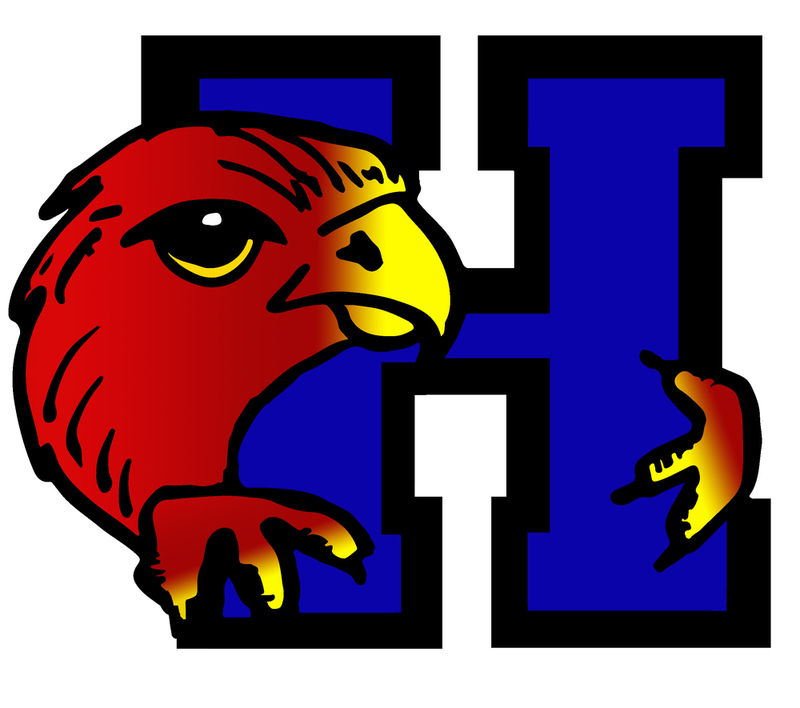 Game Night @ HMS, 7:00-8:30 p.m.
*April 13th: Middle School Music Festival @ HHS, 8:00 a.m.
*April 26th: Art Show, 5:30-6:30 p.m.
*May 7th: League Track Meet Royal Valley @ 4:00 p.m.
*May 9th: Band Concert @ 7:00 p.m.
*May 13th: Vocal Concert @ 7:00 p.m.
*May 20th: 8th Gr. Recognition 7 p.m.
State testing is just around the corner. The middle school will be testing at different times from March 19th- April 24th. Each grade level will be taking both a Math and an ELA test along with a science test taken at the 5th and 8th grade levels. Parents you play an important part in helping students give their best performance on this test. As you know, we have been busy preparing and reinforcing the skills necessary for students to demonstrate their learning. Even though this assessment is a snapshot—one single perspective – it is important that our students have every advantage to do their very best. We don’t want to cause test anxiety, rather we want our students to be as prepared as possible. There are many ways in which you can help your child put his/her best foot forward. The night before the test- Urge your child to go to bed at a decent time to allow for a full night’s sleep, so they are well rested and ready to go in the morning. Being at school on time will alleviate unneeded stress and anxiety and they will be able to focus on the task at hand. Make sure they have a good breakfast, either at home or at school. Nobody can think on an empty stomach. This will also give them the energy their brain needs to focus. Remind them to take their time and do their best, that’s really all we are asking of them. After the tests are complete- We urge you to talk with your students about how they felt about the test. Anxiety is a normal response to unfamiliar or stressful events and situations in all of our lives. We all experience anxiety in the form of worry, apprehension, dread, fear or distress to some degree. Anxiety is the bodies built in fire alarm system and is necessary in situations of danger or distress. But sometimes that fire alarm gets pulled in times where there is no real danger. Knowing ways to calm yourself when you experience anxiety or worry is an important self regulation skill for children, teens and adults. Validate the feelings - Use statements like “ I can tell this is tough for you”, “I can see that this is really hard for you right now”, “I can see that this is causing you some worry (or anxiety)." Help them utilize calming strategies if needed such as calm or deep breathing, walking, getting a drink of cold water, sucking on a mint or hard candy, listening to calming music, etc. The Flu season is upon us and in full swing. I would like to thank all parents/guardians of our HMS students on your diligence to get doctor notes sent over when your child is ill and for keeping me updated on health changes for your kids! As we continue to see a variety of illnesses, please continue to remind your students at home of good hand washing habits, as this is the number one way to stop the spread of illness to others. Sending a water bottle is also recommended. If your student has Asthma, please be sure they have their inhalers at school each day. With spring just around the corner, the changes in weather tend to make this condition worse. If your child uses an inhaler they are allowed to either carry it with them or keep it here in the nurse’s office for use. Documentation is required for inhaler use, and I’d be more than happy to get the appropriate form sent to doctors on your child’s behalf. Please contact me for any questions or concerns in this regard! CDC and the State of Kansas have made changes to vaccination requirements for the 2019-2020 school year. This update will affect students going into 7th grade and 11th grade. In May, I will be sending a letter home with more details and also update you through the end of year newsletter.